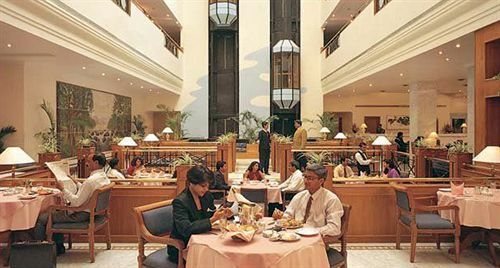 The Capitol Bangalore is located along the Raj Bhawan Road and is one of the most highly respected hotels for its hospitality and ambience. The hotel has world class architecture and a stay at this place is very rejuvenating. 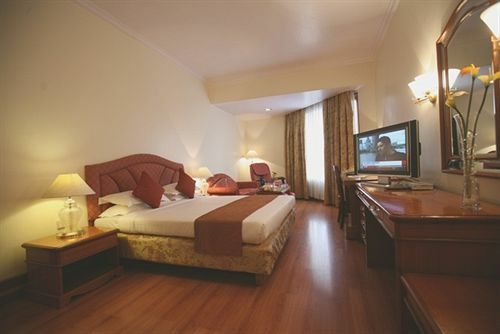 There are 144 rooms in the hotel all designed with state of the art amenities. 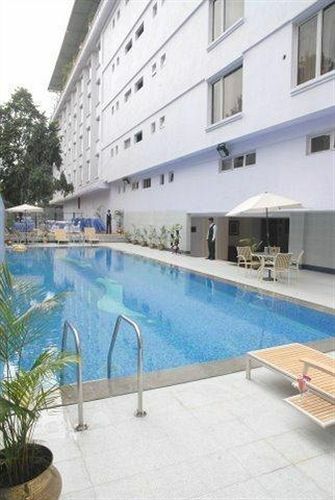 The hotel is just 3.8 km from the Bangalore Railway Station and 35 km from the Bangalore International Airport. 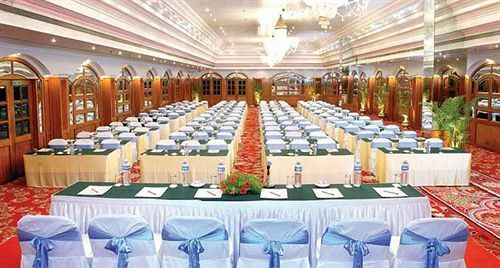 The hotel has 22000 square feet of total meeting area divided in six banquet halls which are designed around a foyer. Each of these halls can accommodate 20 to 600 people in different seating arrangements. The grand ball room is ideal for product launches as well as private ceremonies and parties. The hotel offers its guests the option of a fitness center and a swimming pool which can be used round the clock to stay fit and healthy. Apart from these the hotel also offers other facilities like a laundry service, doctor on call, round the clock room service, hot and cold water supply, front desk and a travel desk. Size- 280 sq. ft. One King size bed or two single beds. The executive rooms are very elegantly designed with the interiors displaying the beauty of Indian craftsmanship and the traditional design. The room has a spectacular view and some of them even face the central atrium of the hotel. 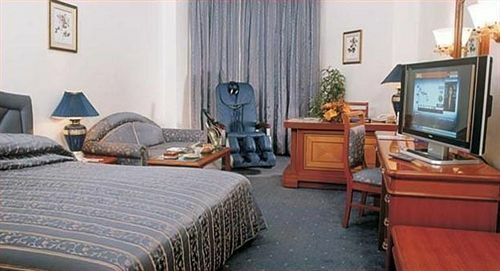 The beds are beautifully decorated with colorful linens and comfortable cushions. 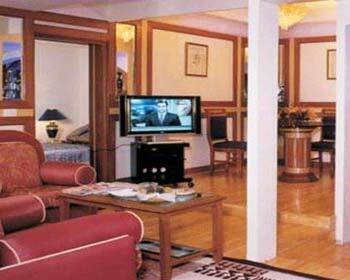 The LCD Television takes care of the guest’s entertainment with its offered premium channels. Other than that the room also offers other amenities such as an electronic safe to keep your documents secure, a mini bar for beverages and cold drinks and a private bathroom. Size- 300 sq. ft. One King size bed or two single beds. The air conditioned club de Royale room is very spacious and designed with an eye on the culture and tradition of contemporary India. The King size bed offers a very relaxing stay with its cushions and down duvet. The broadband internet access makes sure the guests are always connected to the outer world and the color television offers all the entertainment. The en suite bathroom is very well designed with a shower cubical. The bathroom is also provided with bathroom toiletries and slippers. Other than that the room also offers other amenities such as an electronic safe, a mini bar, a refrigerator, bottled water, seating sofa and 24 hours hot and cold water supply. Size- 360 sq. ft. One King size bed. 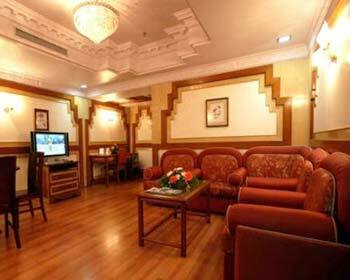 The business suite is well maintained and an ideal choice among the business travelers to Bangalore. 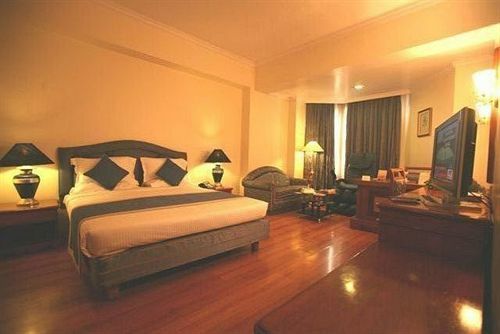 The suite has a very large living room and a separate master bedroom. 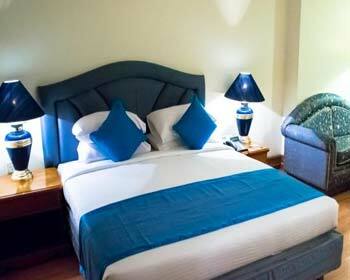 The king size bed is beautifully crafted and comes with pillows and down duvet. The work desk is very wide and comes with all the necessary stationary. The suite is adorned with some beautiful paintings and artifacts to evoke royalty among the residents. The large wardrobe can be used to put in some luggage as well. The dining area has a wooden dining table which can be used by four people to enjoy a private and cozy meal. Other amenities of this room are a mini bar, tea or coffee maker, electronic safe, LCD Television and a ergonomic Massage Chair. Size- 500 sq. ft. One King size bed. The deluxe suites are beautifully designed to evoke the feeling of pleasure and delight among the guests. The suite has a breathtaking view of the whole city of Bangalore and the rooms are elegantly furnished with the best interiors. The bedroom has a separate LCD television and the king size bed is very comfortable for two people to go off to a good night sleep. The bathroom is completely made of granite and looks splendid. The bedroom has a walk in closet which is very huge for all your clothes. 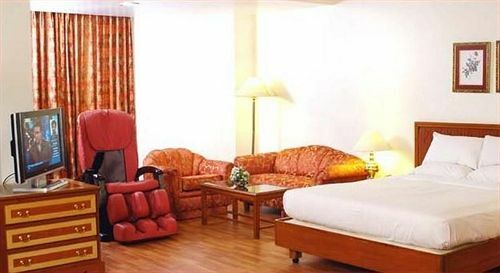 An electronic safe, massage chair, two LCD televisions, mini bar, bathroom toiletries and a tea or coffee maker are some of the other amenities. Size- 550 sq. ft. One King size bed. The capitol suites are meant for people looking for some days of privacy and leisure. The bed linens, cushions and curtains are all made of richly textured fabrics. The separate living area also has a sofa set which is set around a center table. The master bedroom has a king size bed and a separate television set. The bar counter is decorated beautifully with many liquors and wines. The dining area is adequate for four people to dine together. Other amenities of this room are a micro wave, massage chair, electronic safe, two LCD televisions, bathroom toiletries, mini bar, a tea or coffee maker and a bar counter. 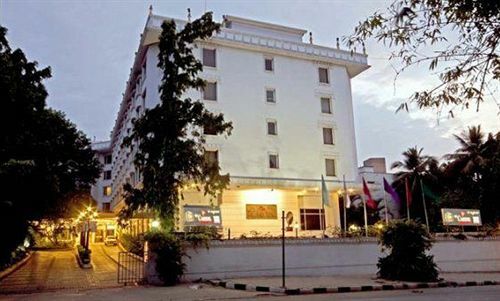 The accommodation in The Capitol, Bangalore features elegantly designed 144 rooms which are filled the best of the facilities and amenities. 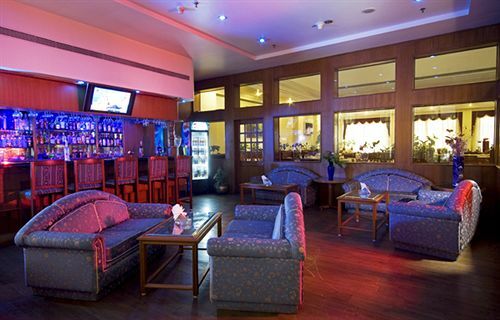 The ambience provided by the hotel makes it an ideal stay for both leisure and business travelers. 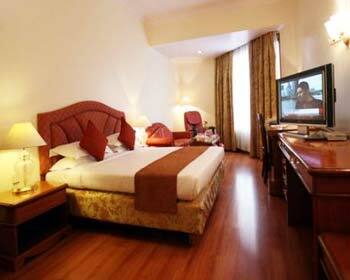 The rooms are facilitated with attached bath which are an epitome of luxury. Other facilities in the rooms are mini bars, refrigerators, tea/coffee makers and many more. 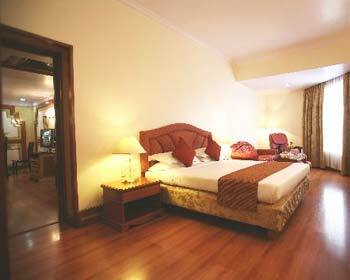 The rooms are air-conditioned and very comfortably built. This garden restaurant is very well designed to give its diners a spectacular view of the city of Bangalore. The place offers dishes from a wide selection of multi cuisine recipes which are prepared by highly trained chefs. The ambience and the delicious food are sure to make it a memorable evening.